English ḥazzan; born in London March 9, 1833. He was appointed minister of the Bristol congregation in 1860, and became the senior ḥazzan of the Bayswater Synagogue in 1864. He has acted as honorary secretary of the Jews' Deaf and Dumb Home for forty-one years. He was mainly instrumental in effecting the erection of its present building and its subsequent extension. He was appointed teacher of ḥazzanut at Jews' College in 1888. In 1892 the London County Council appointed him Jewish chaplain to the Colney Hatch Asylum, which he had served for many years in an honorary capacity. He is the only Jewish minister in England who has received a stipendiary appointment as Jewish chaplain in a non-sectarian institution. 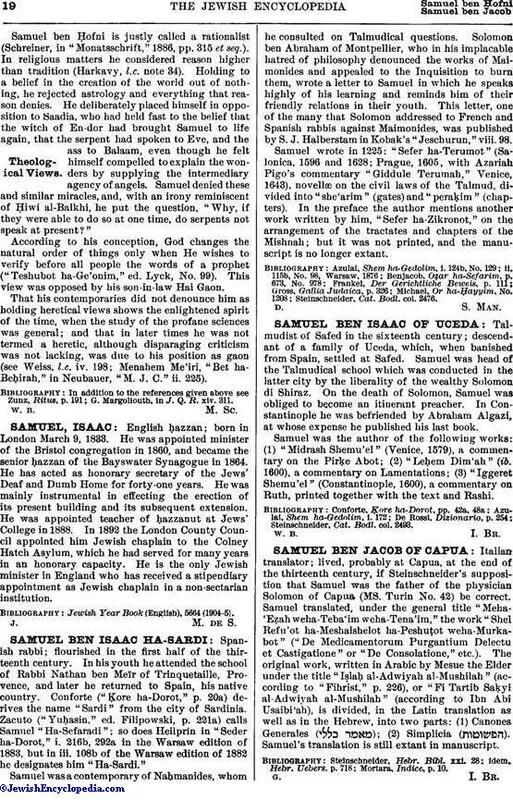 Jewish Year Book (English), 5664 (1904-5).